Keeping the attention spans of your learners is challenging. Why take risks for the sake of a lower upfront cost – especially if the resultant product costs you MORE later on? With all the video technology manufacturers touting the benefits of doing video internally, there are definite caveats. Companies like Sony, Nikon, and Canon want customers to feel empowered to use video themselves, but is that really the best use of time for a trainer or facilitator? While it’s a great idea to get familiar with advancing technology, the skills required to effectively incorporate impactful multimedia into a training is littered with potential problems and failure points. In addition to the technical and aesthetic challenges, DIY video presents concerns around adoption and engagement – as well as potentially becoming a brand liability if the quality is poor. 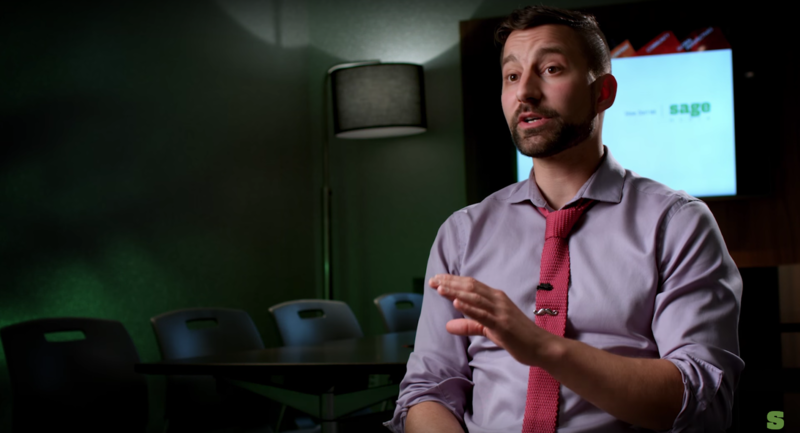 Richard Fleming, Co-Owner for Sage Media, talks about the pitfalls of doing video at a “homegrown” level, as well as solutions for educators, trainers, and facilitators looking to incorporate cheap video solutions into their programs. “Get learners to adopt the cheaper methods of video,” he advises. Learners can use multimedia tools to reinforce their learning – presenting material back to a trainer or facilitator in a fun and fresh way. Acting as “video producers” can keep them excited and engaged. So the next time you feel pressured to produce content for cheap, consider turning the lens around and see how your students can apply their knowledge.